Eight years ago, back in 2008, I gave birth to a new attitude and came to believe that wearing the hijab, a black dress that fully covered my body and my hair, was right for me in my religious beliefs as a woman. Today I want to share my experience in wearing the hijab with everyone. It wasn’t easy to don the hijab. I was embarrassed, criticized, harassed, and even ignored by family, friends, colleagues, and the community, both male and female, not only personally but also professionally. At times I felt self-centered like I was not part of this world. But my inner strength made me stronger, and gradually my feeling of awkwardness among people changed. I don’t judge people according to what they wear. I don’t like or dislike people based on it. I respect everyone’s beliefs and choices because we are mature and we live in a democratic society. Of course the credit goes to him, but he never forced me. He told me what was meant to be, and it motivated me to believe more. Other people respected me for wearing the hijab. I was made to feel special and it did not stop me from having success in my personal and professional life. In fact today, wearing the hijab has begun to make me feel more protected in a society that is not secure for either males or females. Clothing doesn’t make our identity. It doesn’t change our beliefs and attitudes. It doesn’t make us loved or hated; it doesn’t give us more education or make us into a good employee, or give us a bigger salary or a promotion. So please stop judging each other by what we wear. Let’s create a democratic society comfortable for all and free of judgment about what we wear or eat, how we look or where we are from, or our skin color. We are all Afghans and if we are Muslim, for sure we are not terrorists. We all are made from one thing, but it’s just us who make ourselves what we are today. Let’s not divide ourselves from one another, but respect yourself by respecting others. This is a strong essay that we in the western world need to hear more often that not all women who wear a hijab are forced to — often it is a choice. You have also written wise words about the importance of not judging others by the clothing they wear — but by what is in their hearts. Thank you for writing this. Dress has a purpose: To give some impression of you to some specific people, nothing else. We are not our dress. If a religion gives too much importance to dressing is a ‘textile’ religion, a lesser one. People should not be judged based on what clothes they wear or their outward appearance. Nowadays, however, clothing is being used by people to jump to conclusions that they should not be making. An example of this is when Pakiza wrote that some people assumed that her husband was forcing her to wear her hijab. People instantly thought that Pakiza was being forced to do something against her will, because of their preconceived notions. As Pakiza wrote, clothing does not change who we are, and must not be used to judge others prematurely. We should not divide ourselves through our differences. Instead, we should seek to connect through our similarities. A remarkable teacher I follow is Sheik Khaled Bentounes. He said: I am not on this earth to show a way of dressing, we must dress in the best way to achieve our task. For me, I dress Arab in North Africa, Europeean in Europe. The idea of being insulted for what you wear sounds horrible. No one should be able to tell another person what they can and cannot wear because your clothing is your choice. Everyone in society has their own beliefs and culture, and going against what others think is not wrong because every person is entitled to their own opinion. Having people who understand and support the decisions made are the only ones that should matter. 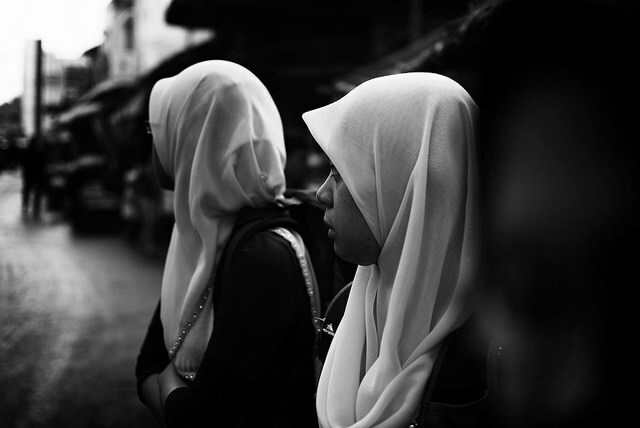 Even though it is a part of the culture, wearing a hijab was not required, and not wearing it does not make one different from other girls in the community. This is not just a problem in one culture and society, but many girls around the world feel like they are not allowed to wear something just because of what others in society would think and say to them. The world has progressed since 2016, when this essay was written, but many people around the world are still judged for what they wear. Like you say in the essay, the clothes you wear does not define who you are, and it does not give you any advantages or disadvantages in any aspect of your life. Your story is a well written piece of work that displays the conflict that is present in common day society over the idea of clothing. It is true that people make assumptions about one another based off how each of us dress. The complexity of how one dresses shows the level of how one wants to present themselves. Your article emphasizes the ideas of peer pressure and how they cause one to change their style to fit in with others or stand out. The Hijab is a beautiful piece of clothing that means a great deal to those who where it. It shows their connection to religion and middle eastern culture. Sadly, the Hijab is also perceived as a negative object. There have been incidents where people have assumed or blamed those who wear Hijabs as terrorists. This is an unfair stereo type that has brought conflict to society. Your writing brings to light these unfair judgements and explains the importance of respecting other people’s cultures and decisions.